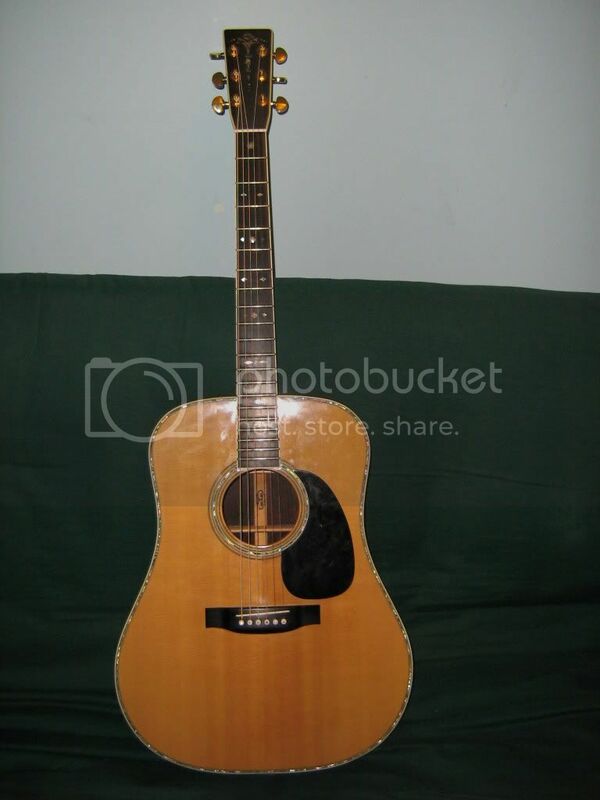 Tokai Forum - a subsidiary of TokaiRegistry.com :: View topic - Trying to date and identify Sigma Acoustic - Tokai Copy? 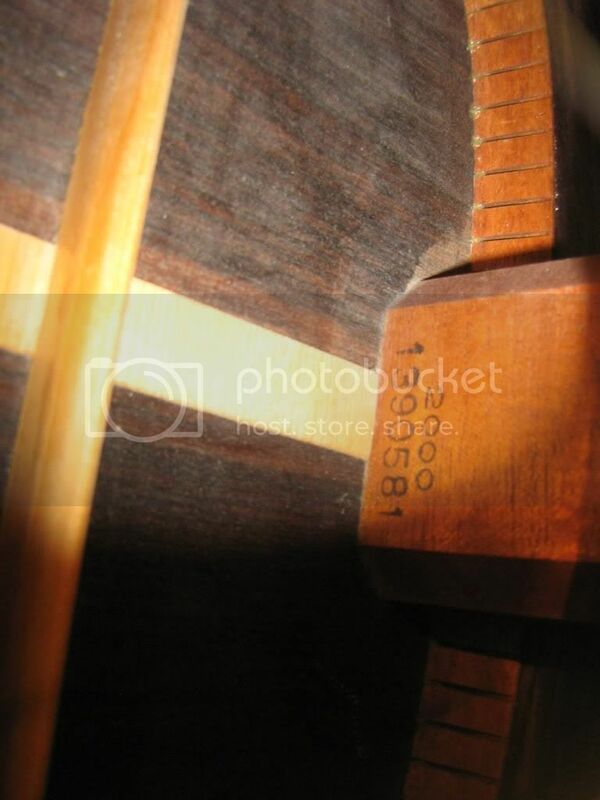 Posted: Thu Oct 16, 2008 6:50 pm Post subject: Trying to date and identify Sigma Acoustic - Tokai Copy? I have a Sigma Acoustic that looks nothing like a Sigma! I would really like to confirm the model number (tokai model perhaps?) and appr. year of make of the guitar (I think it dates anywhere from '79 to '84). 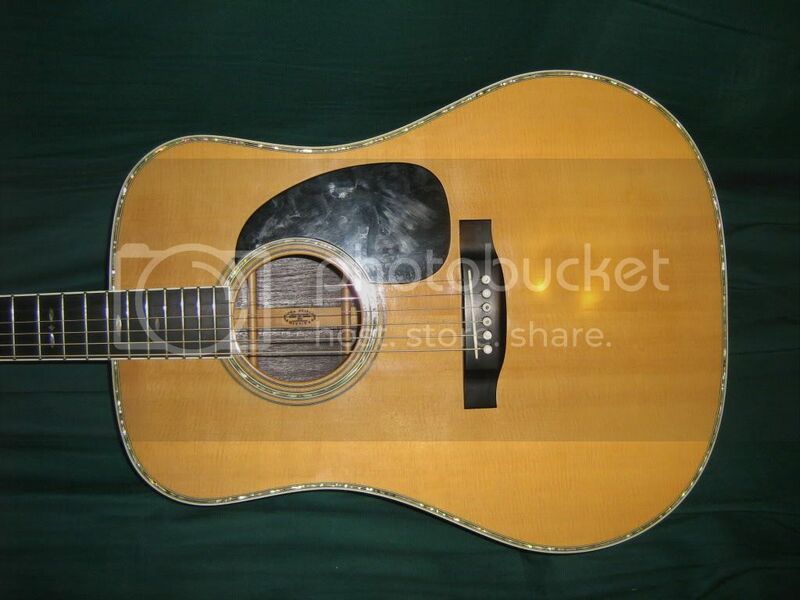 It has the body of a Martin D-28, the guitar is stamped inside with "Sigma guitars made in Japan for Martin Co", but the headstock does not have the sigma 'logo', it has a "Cat's Eye Design". 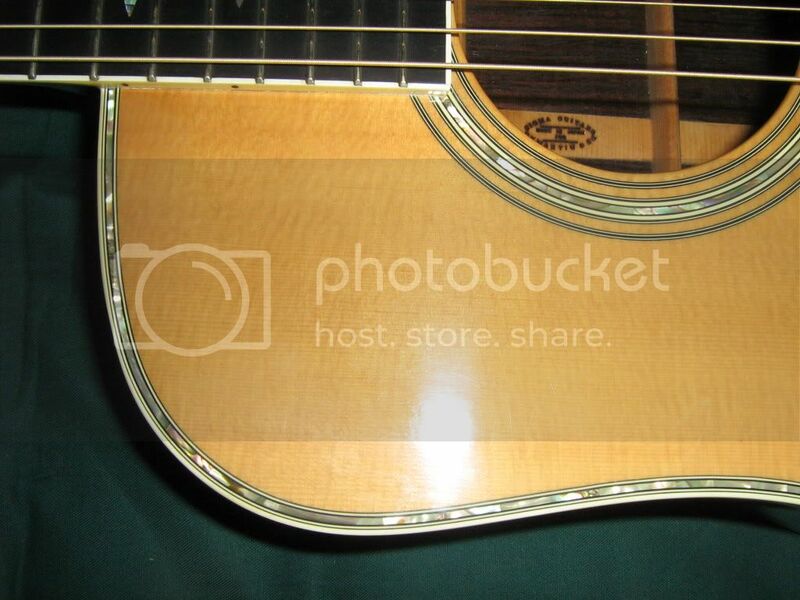 It also has inlay around its body and around the sound hole. The markings inside are S2000 (original warranty paper says this is the model number) and serial No which is 1390581. It is a solid top, but I have yet to confirm if the sides and back are solide rosewood (the guitar shop where I purchased it says they are). Any information you could provide would be greatly appreciated. I have not figured out how to post pics yet - but I will. I won't be able to post pics, so if anyone wants to see pics of the guitar please provide your email and I will send pics. Hi Mike, thanks, but the site asks for credit card info - so I would rather not use it. If anyone wants to see pics of the guitar, please let me know and i can email a few pics. No, you can set up a Photobucket account for free. I just clicked on the link and saw a big green button that said "Join Now, it's free". Posted: Fri Oct 17, 2008 6:39 pm Post subject: Pics!! Ok I figured it out - its free here are the pics! They are pics i took when i first got the guitar - its been polished since;) Feedback is welcome! Sorry, can't give you any information, acoustics are not really my area, but it looks nice. In fact it has a few similarities to my Yasuma, about which nobody seems to be able to tell me anything. 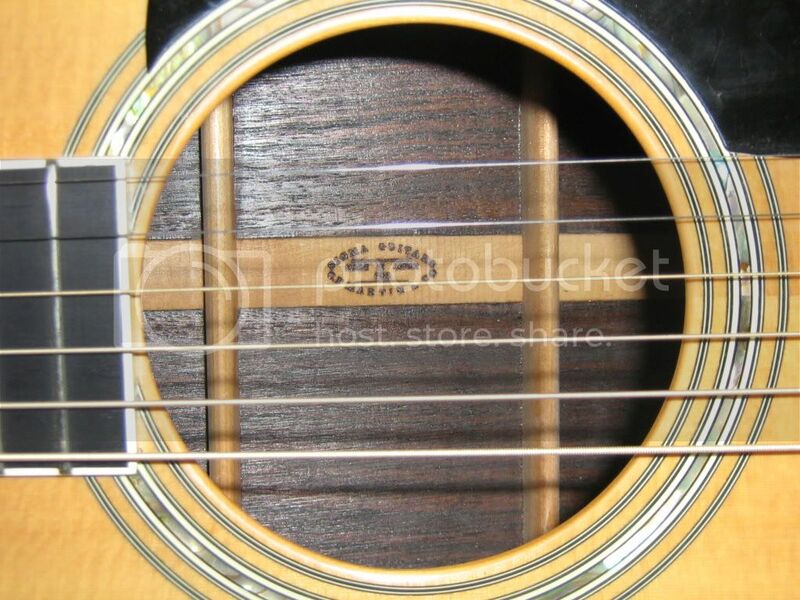 Another possibilit could be that only the small part of support list between the 2 braces that show from the sound hole has been taken from a Japanese made Sigma and put in some other guitar. Yet one possibility is.. that the manufacturing factory where Cat?s Eyes guitars are being made has been negotiating with Martin about making Sigma?s and they have made some sample guitars with what ever labelled and inlayed parts they happened to have at that time. Well I thought it had pretty well been established that tokai assembled Martin parts in Japan as a kind of joint venture betwen the two companies.Tokai also produced the early M.I.J Sigmas for Martin hence the similarities between them. I suspect also that Tokai produced the Shenandoah model Martins for both U.S. and world markets.Gabe. I'm pretty much with Leifhackman and bluejeannot on this. 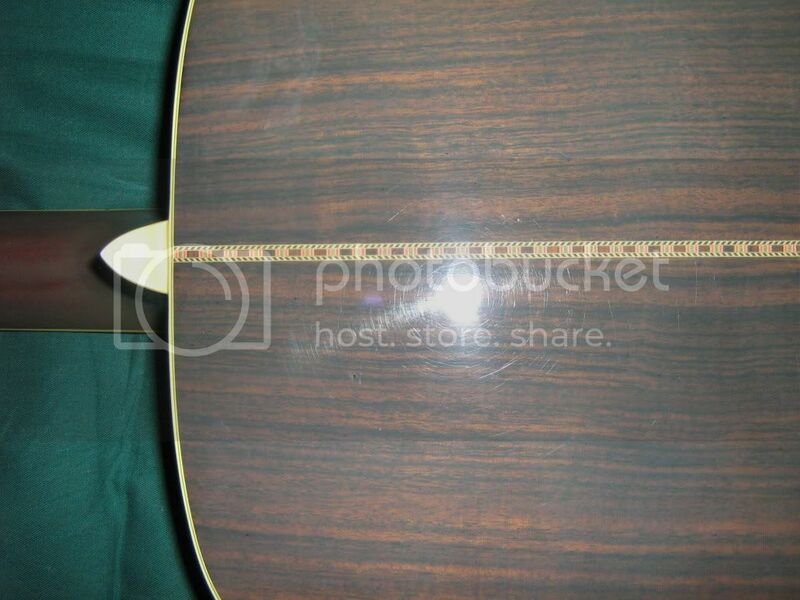 The look of the guitar is obviously based on a Martin D-41, as you can see from the image below. 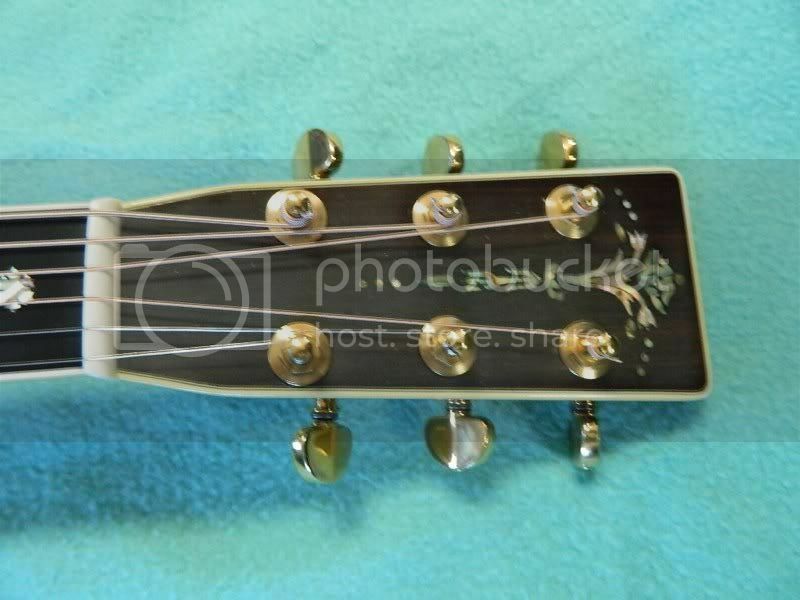 And the Cat's Eyes headstock motif is just as obviously meant to suggest the CF Martin logo that you can see on the D-41. Don't know this for sure, but it's very likely that there was a Sigma DR-41 and that would have been based very closely on the appearance of the D-41. The Sigma DR-28 is certainly an analog of the Martin D-28. Have heard several times that Sigmas were actually made by Tokai during the early eighties, and I'm guessing this one is the victim of a mix up in the factory. 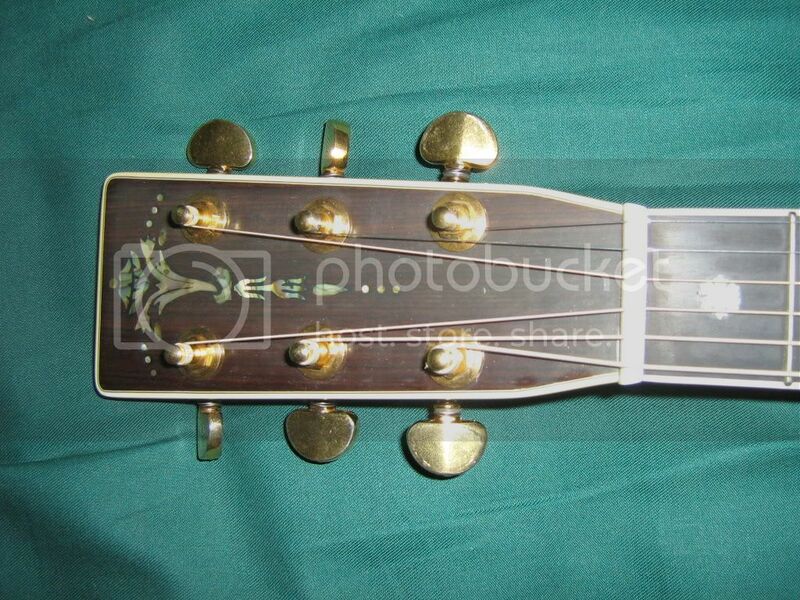 Someone used the wrong stamp for the headstock, or vice versa. 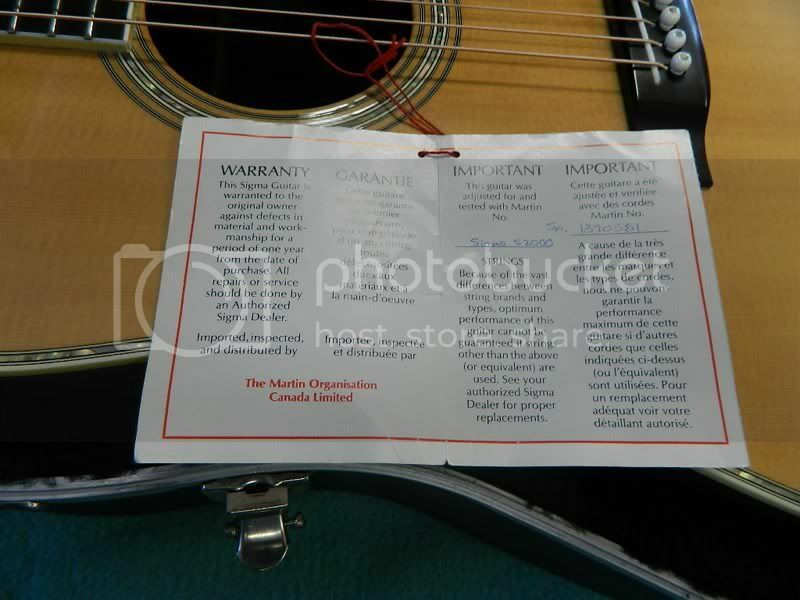 Every Cat's Eye guitar that I've seen on eBay and the like, or in Tokai catalogs, has clearly been based on a Martin. Have to say that I've always particularly liked the idea my Sigma DR-28 was made by Tokai, largely because I bought it just a few months before my Springy Sound. It's hardly proof, but from what I can see of the structural details in guitar333's photos, there's a marked similarity to my 28. And the Sigma stamp is identical. Amazing. I have guitar333's guitar now. Seems to be a very rare Sigma S2000. It came from Canada and I was told it was taken to trade shows for years. As far as I know it was a one off. 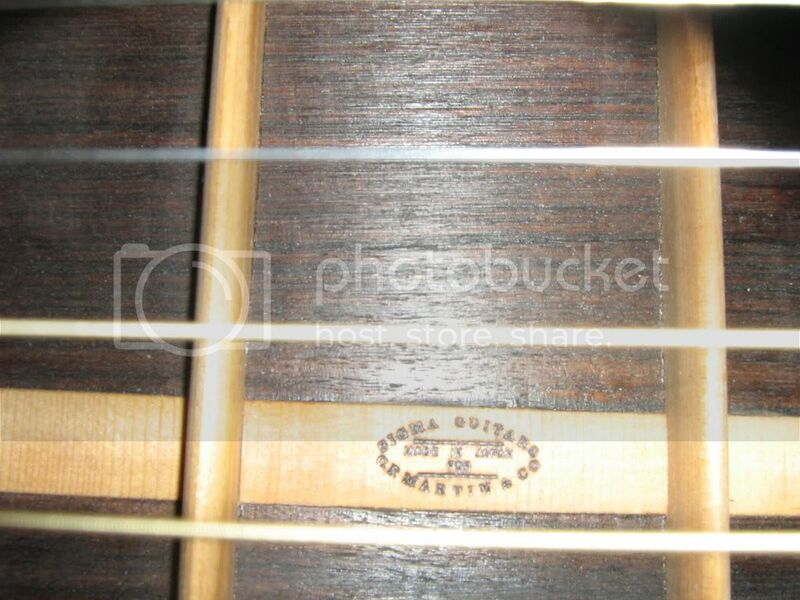 Solid Indian rosewood back & side. A bench mate no doubt of a Cats Eye CE2500. Tokai has been an exclusive distributor of Martin guitars from 1972 through 1988. During this period, Tokai had made Sigma and Shenandoah models for Martin, while Tokai sold a lot of Cat's Eyes in Japan. Some engineers from Tokai factory went to Martin factory and learned their engineering. Martin fans in Japan do buy Tokais acoustic guitars with affordable prices even now. Based on the logo, this guitar likely dates from the late 70s to 1980s.